"The image on my 6" CinemonitorIII is so good that some Directors choose to direct scenes standing beside the camera instead of from Video Village. Just like in the old days. I own both a 5" Rainbow and a 6" Cinemonitor III and have used them on dozens of shows with no problems. In fact, I purchased my first TRANSVIDEO on-board monitor 7 years ago and tens of thousands of hours later it still works flawlessly. They are, without question, the best film equipment investment I have ever made." 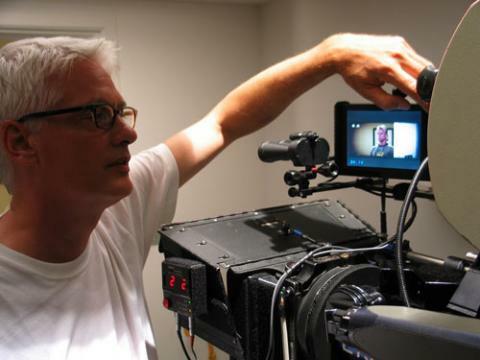 David Eubank with his 6" CinemonitorIII on "I love Huckabees” starring Dustin Hoffman.